Good morning! And what a glorious morning it is thanks to Liz Earle. I've always struggled with my skin and having "good" skin...I'm eerily pale and have blemishes like nobodies business and as of late I'm having breakouts almost every damn day. So all I've been using before I ventured up to the Liz Earle counter in Boots was the Garnier Gel Soap Cleanser and don't get me wrong, that is good! But the removal power compared to Liz Earle is second to none. 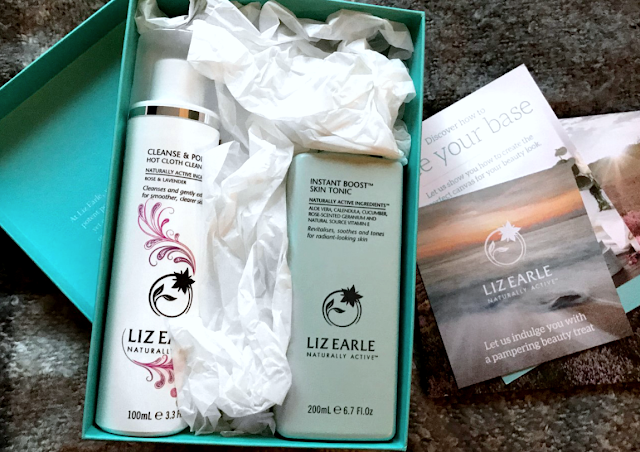 With that being said there has been so much hype over the Liz Earle Cleanse & Polish sets and I think it was one of the first 'higher' end skincare products I seen on YouTube and Blogs but me being me was always too scared to purchase as it's not the cheapest of products. But this year skincare is something I want to take much more seriously, let's get real here. We're not getting any younger and as the old saying goes "prevention is better than cure". I saw this set on offer from £32 to £25! And I literally had to take a double take because it was almost too good to be true....but it was true. If you're someone who likes to take a mini pamper sesh morning and night then I would highly, highly recommend this product. However, if you're someone who needs to quickly remove make up, build up of skin and dead skin then I'd say to STOP AND PAMPER YO'SELF. Nah, in all honesty I was one of those people who would feel the need to remove my make up in a flash and just use face wipes, and don't get me wrong some face wipes are fabulous (I'm looking at you Simple) but nothing beats taking 5 minutes to massage your face with the Cleanse and Polish cleanser, wet the cloth with warm water and wipe away the day. My makeup literally melts away in seconds and mascara, waterproof or not comes away like an absolute dream. I always find myself double cleansing just because it feels (and smells) so heavenly. Once everything is removed and I have a fresh face I use the Liz Earle Instant Boost Skin Tonic which has ZERO ALCOHOL in it to tone and wipe away any little bits that might be lingering on my skin and, ugh, I can't express enough how lovely it is. It's honestly like having a miniature spa session in your own bathroom. I've only been using this duo for a week but I have to say there is no turning back. My skin feels softer, looks brighter and I really feel like it's lifting impurities from within. 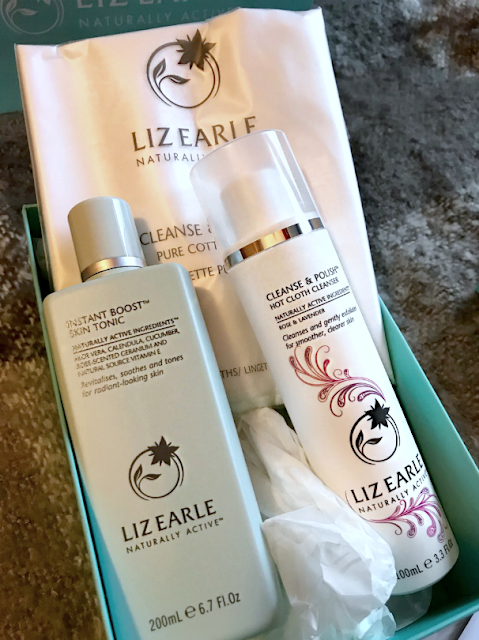 You can purchase your own set of Cleanse & Polish right HERE for £25 and if this duo isn't for you they also do the Winter Radiance Duo that contains Cleanse & Polish (Original) and the Gentle Face Exfoliator for £25 as well! *Disclaimer: The products mentioned in this post were purchased by myself with my own money. Nothing in this post was sponsored and all opinions are my own. 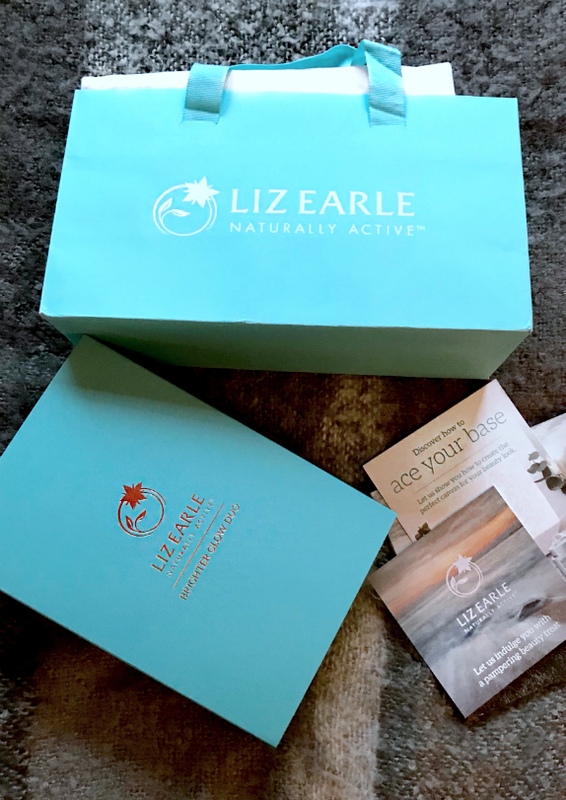 8 comments on "♡ THE GREATEST DISCOVERY // LIZ EARLE SKINCARE ROUTINE ♡"
I've always wanted to try out the nicer products my my skin seems to react go the smallest amount of product ever!!! I might possibly have to have a look and see if this might finally be something I can use!!! These products sound amazing to me and yes I totally agree that its always a better idea to cleanse your skin with a massage than facial wipes. By the way do you have idea if they are cruelty free too?